Rep. Pramila Jayapal is helping lead a charge from fellow Democrats condemning President Trump’s refugee crackdown — and demanding a briefing from Homeland Security Secretary John Kelly. 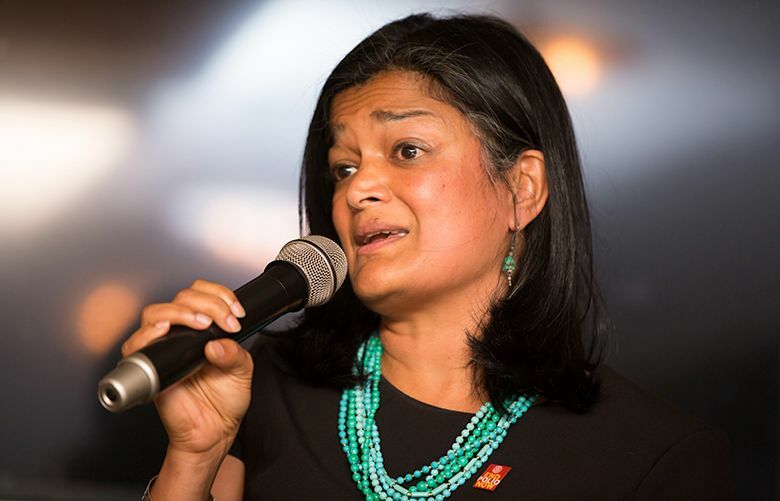 Rep. Pramila Jayapal is helping rally fellow Democrats in a new letter condemning President Trump’s controversial refugee crackdown — and demanding a briefing from Homeland Security Secretary John Kelly. With Reps. John Conyers, D-Mich., and Zoe Lofgren, D-Calif., Jayapal, D-Seattle, co-wrote a letter to Kelly on Wednesday, urging the rescinding of the order they said “has created profound chaos and fear” for immigrants, refugees and their families. Kelly met this week with relevant congressional committee chairs and ranking members, but Jayapal and her colleagues argue that is not enough and that a briefing should be available for all members. Such a briefing is especially urgent, the letter said, given the firing of acting Attorney General Sally Yates, who had refused to defend the executive order. The letter, co-signed by 100 congressional Democrats, cites massive confusion across the nation that erupted after Trump’s order was signed last Friday. In Seattle and elsewhere, families camped anxiously at airports, wondering whether loved ones with visas or green cards would be turned away. Trump’s order suspended entry to the United States of all refugees for 120 days, barred Syrian refugees indefinitely and blocked entry for 90 days for citizens of seven Muslim-majority countries: Iran, Iraq, Libya, Somalia, Sudan, Syria and Yemen. 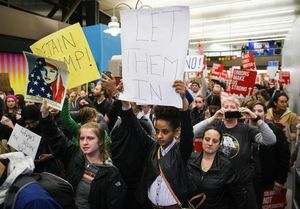 It prompted a wave of protests at airports and in cities across the country. On Monday, Washington Attorney General Bob Ferguson announced a federal lawsuit challenging the order. But Jayapal and other Democrats cite national-security experts who say the order could backfire. “We need to develop relationships with Muslim countries and others seeking to combat terrorism. Unfortunately the order alienates many of the groups we need to have working alongside us,” the letter said. The letter asks Kelly for an “emergency briefing” by Friday. The members of Congress want information on the new policy including: details on people who were turned away from the United States, how the government is responding to court orders temporarily halting removals, and whether accommodations are being considered for interpreters who have aided U.S. military forces in Iraq and elsewhere.